Bernard Hopkins is the Light Heavyweight champion again, after the WBC gave him back the belt, overruling the decision to give Chad Dawson the TKO win after their title fight recently. As you might have guesses, Boxing has had much more bizarre and controversial endings. 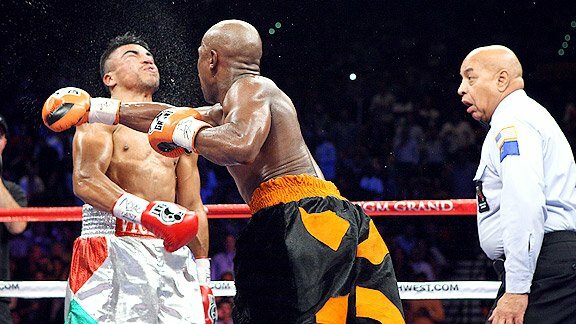 Even this year, prior to the Hopkins – Dawson knockout that was actually a Pro-Wrestling move, Mayweather knocked out Victor Ortiz in less than perfectly clean fashion. Jack Dempsey was after his first loss to Gene Tunney, fighting Sharkey in a elimination bout to get a shot at Tunney. Sharkey was ahead on points till the seventh round. He turned to the referee, complaining about Dempsey’s low blows, and got blindsided with a left shot to his chin, knocking him out. The first and only heavyweight title to be won because of a disqualification. Jack Sharkey again, who was actually born Joseph Paul Zukauskas. He fought German Max Schmeling for the vacant world title, losing for getting called on low blows. The Phantom Punch fight, Ali- Liston II. 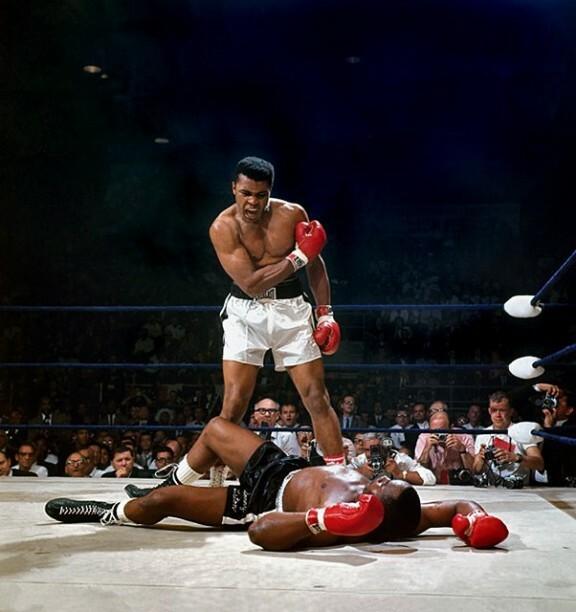 Ali never had any power into the punch that sent Liston to the canvas, and Liston never made much of an effort to get up from it, only two minutes into the fight. Years later, Liston hinted and more than that about finding no reason to actually get up and fight Ali. 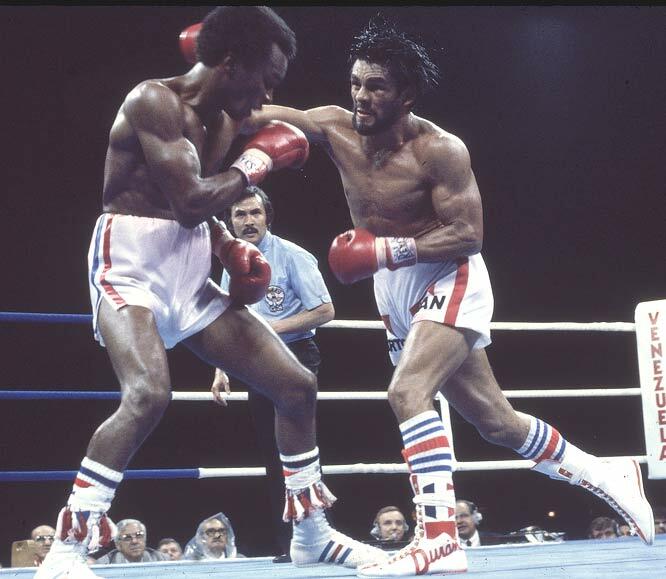 The second fight between the two, with the first won by Duran in the “Brawl in Montreal”. The second fight? All Leonard, causing Duran to just turn away from his tormentor in the middle of the 8th round, refusing to continue. It would go on to be known as the “No Mas” fight, although Duran claims to have said No quiero pelear con el payaso, meaning I do not want to fight with this clown. Both fighters entered this fight undefeated, with Chavez considered as the top Pound 4 pound fighter in the world. Taylor was leading by quite a wide margin on two scorecards entering the 12th round, looking to just finish the fight. Chavez came after him like a rabid dog, eventually getting the knockdown with 17 seconds left. Taylor did get up and beat the count, but couldn’t answer the ref’s questions, giving Chavez the TKO victory. In 1994 McCall stunned Lewis in London, knocking him out to win the WBC Heavyweight title. In the rematch, three years later, Lewis was easily winning until at some point in the third round, McCall stopped defending himself, eventually breaking down into tears mid-fight. The fight was obviously stopped. Floyd Mayweather’s return to boxing couldn’t have gone down quietly. Ortiz intentionally headbutted Mayweather in the fourth round, and Joe Cortez stopped the fight to deduct a point from Ortiz. Both fighters touched gloves, while Ortiz looked at the referee for any sign of restart. Meanwhile, Mayweather hit Ortiz with a vicious combination, ending the fight.